If you're looking for a beautiful time to get married in South Carolina, the spring won't disappoint. With milder temperatures than the scorching summer months, April and May bring with them stunning blooms and lush greenery across the state. 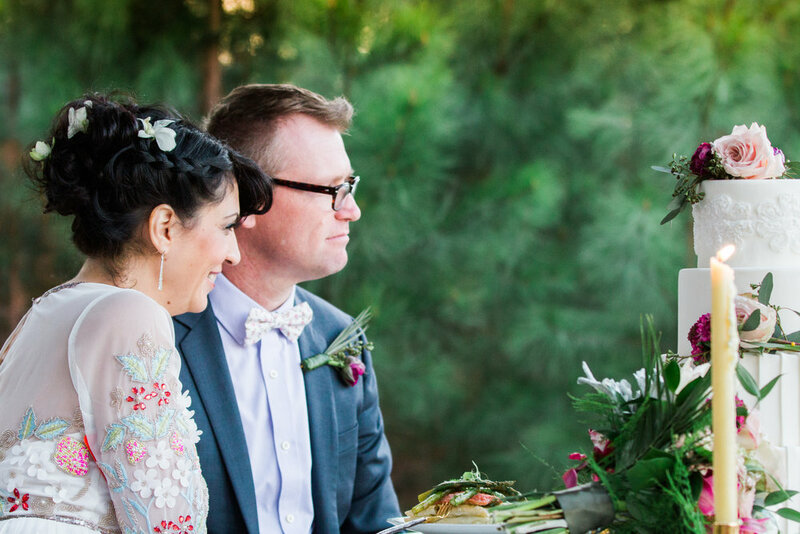 Photographer Daydrielane Osorio of Daydream Lane Photography decided to capitalize on the loveliness of the season with a mountain elopement styled shoot at the Three Pines View Lodge in Salem, South Carolina. 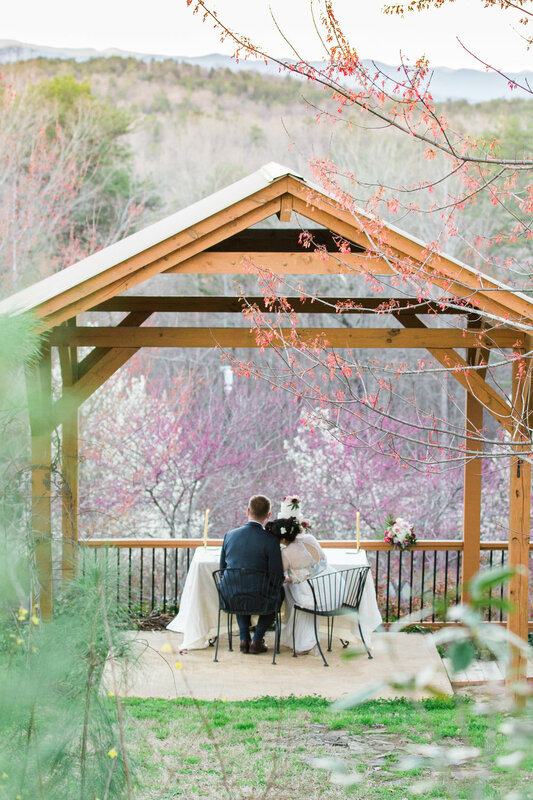 Located just off of the Cherokee Foothills Scenic Highway, the intimate bed and breakfast is perfect for elopements and vow renewals for couples who can't escape the call of the mountains. 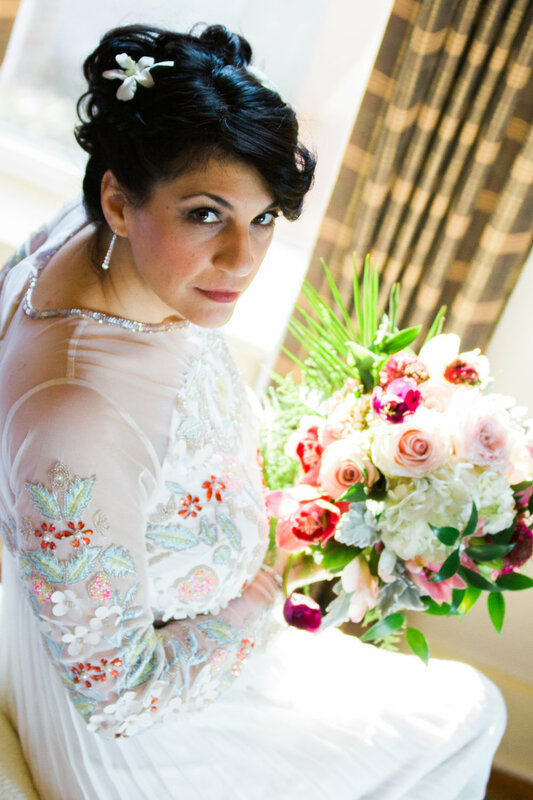 As an added bonus Daydrielane and her vendor team found the lodge surrounded by a riot of colorful spring blooms, which perfectly accented the chosen color palette and the detailed embroidery on the bridal gown. 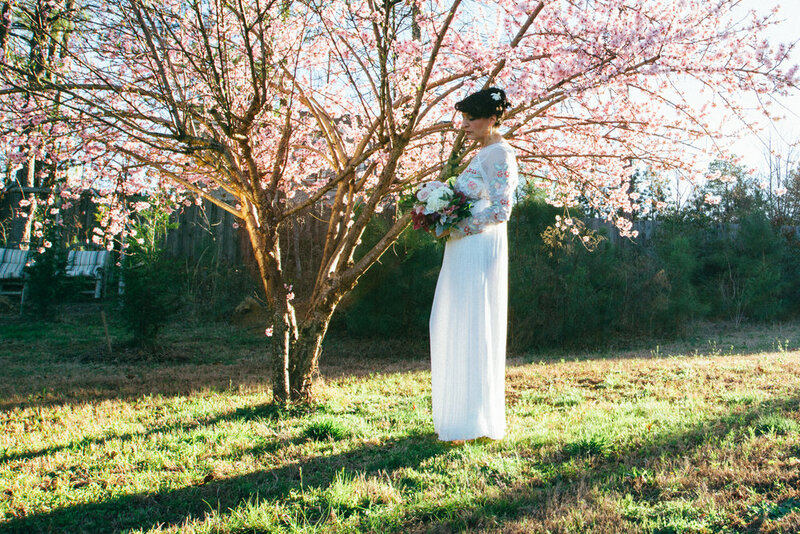 Dive into the natural beauty of this spring styled shoot in the South Carolina Upstate. "Nestled in the Blue Ridge Mountains, the Three Pines View Lodge is a unique gem located in a rather secluded, yet easily accessible part of the state in Salem, South Carolina. Couples who are planning a small intimate wedding will fall in love with the views and will have an opportunity to relax on the many patios and decks available from each suite. The owners and innkeepers have done a great job with decor and making each space feel luxurious yet cozy." "As a photographer, it is important for me that my clients and models feel comfortable and relaxed during the entire process. Some people are more camera shy than others, so for this shoot, it was necessary to give the models enough time to relax, to get used to the camera and lighten up. An hour later, everyone was loosened up and we could then really start taking some meaningful shots!" "The shoot was planned a few months in advance in the dead of winter in the hopes that there would be some greenery by the date of the shoot. Well, we were pleasantly surprised when literally overnight every blooming tree came alive and provided the most beautiful backdrop in lovely shades of purples and pinks! 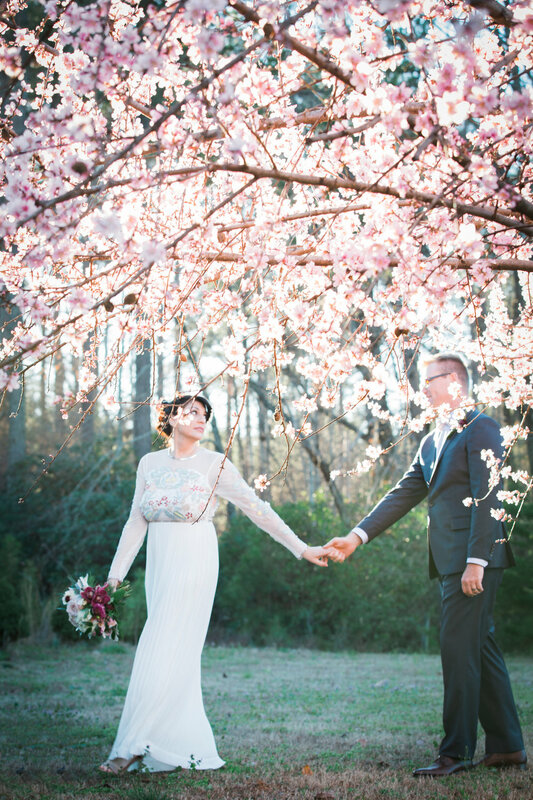 As our result, our spring styled shoot was graced with some lovely accentuation by nature itself! We also had a few pleasant last minute "guests" ( a cat and dog at the Inn) who decided to photobomb some of the images, but we did not mind at all!" "I loved how the color scheme of pinks, purples and burgundys was so effortless woven through the entire shoot from the bouquet to the cake to the model's appliquéd wedding dress to the cherry blossom trees. Everything came together as if it were a great shout out that spring had sprung. 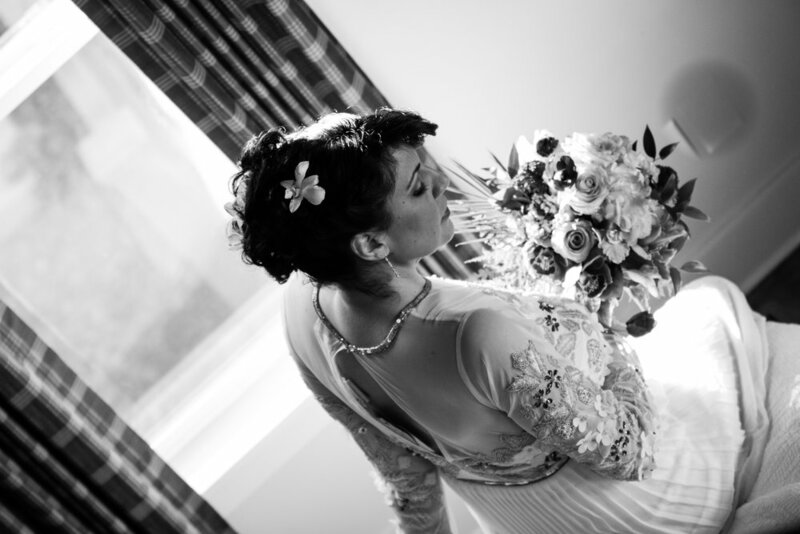 It's a great time to be merry, be beautiful, and get married!"